How to drive your SuperCar fast, but safe. 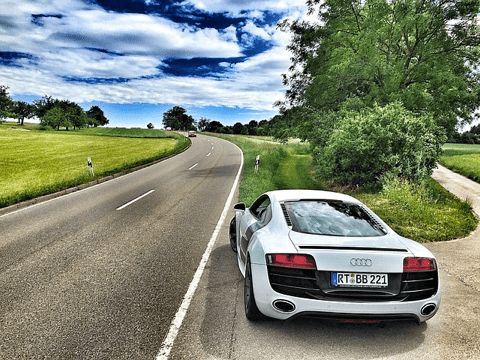 You may have been taught like most of us that your hand should be positioned at 10 and 2, but to get more control when driving at a high speed in your super car, position your hands at 9 and 3 on the wheel. While this may seem apparent, some super cars have their gear shifts on the steering wheel; they have no clutch just like most automatic cars. The right foot should control the accelerator and the brake. Let your left foot rest on the foot support for you to be well balanced. Very professional drivers can use both the accelerator and the brake. Getting the little things right is crucial when you look at the bigger picture. Driving fast is all about preparation. You should focus on driving smoothly if you want to be safe in high-speed. Down shift before you take on a corner. Your car’s weight should be equally distributed as you brake on a corner, turn and accelerate out of it. When you braking for a corner, pressing down the pedal is not the best way of doing it, follow these safety tips, you should brake hard first then gently pull off the brake. Accelerating before a corner is not the cleverest move; your super car won’t turn if you accelerate before turning. Turning one of the touchiest parts of driving a super car, getting a hang of it is not easy. By the time you start turning the wheel; your braking should be complete and should be easing off the pedal. Turn the wheel, point to the narrowest part of the corner. It will take some time to get to the apex of the corner, at that point, don’t break or accelerate. Glide through and then press the gas and then straighten the steering wheel. Sharp movements are unsettling, input smoothly and deliberately. Treat the inputs like a sponge, don’t just tab the pedal, and press it evenly. Always look ahead. It’s awfully important that you look at the direction you want to take the car. When looking ahead, you subconsciously make smoother input. Smoother driving leads to better balance and grip. When driving fast, it’s exceedingly important that you balance the throttle. When you brake, the car’s weight gets shifted to the front. Maintain a neutral throttle when cruising through a tight spot, but do not get your foot off the pedal. Your level of grip is affected by all this. If you take advantage of the throttle, you car will drive like it is on rails. Driving safely at high-speed is all about managing weigh transfer. The chassis you should remain flat and there should be no pressure on any of the tires. Drive the car as if you have a glass full of water on the dashboard and you don’t want single drop to spill.